More than 23 million Americans have an autoimmune disease, making these conditions some of the most common in the U.S. (1). At the core of these conditions is the immune system attacking the body’s organs, tissues, and cells. Autoimmune diseases can affect different parts of your body, which is what distinguishes one disease from another—there are more than 80 types. While anyone can develop one of these conditions, a family history, women of childbearing age, certain environmental factors, and different ethnic groups all raise the risk (2). Because lifestyle and environmental issues do play a role, nutrition can help control autoimmune disease flare-ups for some people so let’s take a look at some of the common conditions, what they are, and how your diet can help. If you have a chronic condition, it’s always important to talk to your doctor before making any major changes to your lifestyle. Working with a dietitian will also help you create changes in your eating habits and food choices that could help control disease symptoms. I’m always happy to help and chat about how we can work together to make you feel better — check out our coaching if you need some professional guidance. In the meantime, here’s a rundown on the common autoimmune diseases and potential changes that diet has been shown to help with. Again, this is a general guideline, everyone is different so we have to honor that this isn’t a deep dive into each autoimmune condition and their specific nutritional plan. This autoimmune disease affects the joints, creating inflammation that leads to thickening of the lining of the joints. People who have it often experience swelling and pain in and around the joints, and if untreated, it can end up damaging cartilage, or even the bones themselves. How diet can help: Because this disease leads to inflammation in the body, it helps to eat more anti-inflammatory foods. Omega-3 fatty acids, in particular, have been shown to help reduce inflammation in people with rheumatoid arthritis (or RA) (3) and can reduce the risk of the disease (4). Fish like salmon, trout, and tuna contain this type of fat, as do chia seeds and flax seeds. 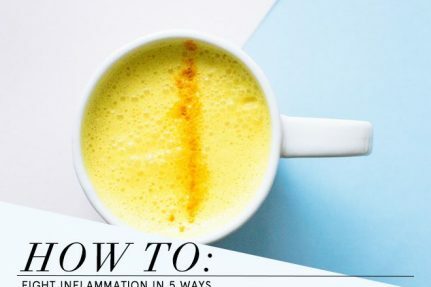 Though there’s no research specifically linking turmeric and RA, turmeric is known as a powerful anti-inflammatory, so it’s smart to add it to your diet. The Arthritis Foundation also recommends RA patients add selenium (found in whole-grain products) and vitamin D (which helps your body absorb calcium to protect your bones—you’ll get it from sunshine and eggs and fortified products) to your meals (5). Like RA, lupus comes with inflammation in the body and means your immune system attacks your body. Unlike RA, though, lupus can not only affect your joints, but really anywhere in your body, including your cells, tissues, and organs, too. People with lupus have a greater risk of other health conditions, as well, including heart disease, osteoporosis, and kidney disease. Women are at greater risk of this disease, as about 9 in 10 lupus patients are females (6). Again, you’ll want to eat anti-inflammatory foods with lupus to help control symptoms. You also want to limit alcohol consumption. One food that you should steer clear of is alfalfa. The seeds and sprouts can cause symptoms to flare, because of the amino acid L-canavanine (7). Psoriasis is an autoimmune disease that primarily affects the skin. It can lead to red, scaly patches on the skin that resemble very dry spots. Some people experience itchiness, burning, or stinging in these areas, which commonly occur on the elbows, knees, or scalp. It has also been associated with health problems like heart conditions, depression, and diabetes (8). How diet can help: Along with a low inflammatory diet, people with psoriasis might benefit from following a gluten-free meal plan, as some research suggests there’s a link between celiac disease (causing a negative immune reaction to gluten) and psoriasis (9). Also, the National Psoriasis Foundation notes that patients may control symptoms by also limiting nightshades (like tomatoes, eggplant, and potatoes), and increasing vegetables, vitamin D, and fish oil (10). Inflammatory Bowel Disease (or IBD) includes Crohn’s Disease (affecting anywhere in the GI tract, but most typically the lower part of the small intestine) and ulcerative colitis (affecting the large intestine). Both of these conditions involve chronic inflammation in the digestive tract. Symptoms include persistent diarrhea, abdominal pain, rectal bleeding, fatigue, and weight loss. How diet can help: Research shows that following a low FODMAP diet could help ease gastrointestinal symptoms of those with IBD (11). A FODMAP is a collection of naturally-occurring short-chain carbohydrates or sugars, which the gut has trouble digesting in some people. 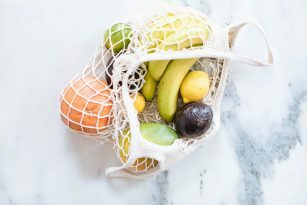 FODMAP itself stands for Fermentable, Oligosaccharides, Disaccharides, Monosaccharides, and Polyols — all things people following the diet would aim to avoid. Check out the Nutrition Stripped story on how to follow a low FODMAP diet for more details. Also known as Hashimoto’s thyroiditis, this condition involves your immune system attacking the thyroid, making it underactive. The thyroid controls how your body uses energy, so it can then affect many areas of the body, slowing down everyday functions, like your heartbeat (12). How diet can help: According to the National Institutes of Health, those with Hashimoto’s should avoid iodine (found in seaweed), as it may make symptoms worse (12). Like other autoimmune diseases, an anti-inflammatory approach to food may help. Avoiding gluten and dairy may help, as well. In fact, one study found a link between lactose intolerance and Hashimoto’s disease in those with the condition (13), and another found that vitamin D is super important for those with this Hashimoto’s (14). Like Hashimoto’s, Graves’ disease affects the thyroid—except with this condition, it means your thyroid works in overdrive, producing more hormones than necessary. If untreated, Graves’ can lead to problems with the heart, bones, muscles, menstrual cycle, and even fertility (15). How diet can help: Also like Hashimoto’s, you’ll want to avoid iodine if you have Graves’ disease, as this can affect the thyroid. Besides opting for an anti-inflammatory diet, one study also found selenium supplementation could help control symptoms of Graves’ (16). You’ll find selenium in nuts, seeds, and eggs. Diabetes is a disease that affects glucose or blood sugar levels an insulin. In type 1 diabetes patients, the body doesn’t make insulin at all—they rely on insulin therapy (or self-administered insulin, typically as a shot) so that their bodies can use glucose for energy. Patients often need to check their blood sugar levels regularly to make sure their bodies are getting enough insulin and can, therefore, keep running on glucose. How diet can help: Following either a low-carbohydrate or a low-fat diet will help people with diabetes lose weight, according to research, and this is the main goal for diabetes sufferers (17). Another study says that restricting certain carbohydrates—think simple ones like white bread and rice—is the first approach to controlling diabetes (18). To control diabetes choose complex carbohydrates (like beans, whole grains, and vegetables) and cut back on sugar (limiting desserts or even sweet juices and yogurts). This disease comes from the body’s inability to absorb vitamin B12, which leads to a low red blood cell count. Red blood cells keep the nervous system healthy. The likely reason the body can’t properly absorb B12 is because of intrinsic factor, a protein made in the stomach, which is lacking in those with pernicious anemia (19). How diet can help: While many people with this condition need to supplement B12, it’s a good idea to up the intake of this vitamin in your diet to help increase levels. You’ll find B12 in meat products, but also eggs and fortified foods, as well as nutritional yeast. While a gluten-free diet is often seen as trendy these days, those with celiac disease need to stay clear of it. In patients with this disease, the immune system has an intense reaction to gluten, the protein found in wheat, barley, and rye. It can then cause inflammation and damage to the small intestine, plus malabsorption of some nutrients. How diet can help: The best thing (and currently the only treatment) celiac sufferers can do for themselves is cut gluten out of their diets completely—even products that may come in contact with gluten, say a meal cooked on the same stove. Do you have an autoimmune disease and find that food helps control symptoms? Are there any autoimmune conditions we covered today that you’d like to see a deep dive article on with specific nutritional recommendations? Let us know by commenting below! “Autoimmune Diseases.” National Institute of Environmental Health Sciences. “Autoimmune Diseases.” Office of Women’s Health. Stamp LK, James MJ, Cleland LG. (2005, October.) Diet and rheumatoid arthritis: a review of the literature. Di Giuseppe D, Wallin A, Bottai M, Askling J, Wolk A. (2014, November.) Long-term intake of dietary long-chain n-3 polyunsaturated fatty acids and risk of rheumatoid arthritis: a prospective cohort study of women. “Nutrition Guidelines for People with Rheumatoid Arthritis.” Arthritis Foundation. “Lupus and Women.” Office of Women’s Health. “Diet and Nutrition with Lupus.” Lupus Foundation of America. “About Psoriasis.” National Psoriasis Foundation. Bhavnit K. Bhatia, B.A., Jillian W. Millsop, M.S, Maya Debbaneh, B.A., John Koo, M.D., Eleni Linos, M.D., and Wilson Liao, M.D. (2015, August). Diet and Psoriasis: Part 2. Celiac Disease and Role of a Gluten-Free Diet. “How Does Your Diet Affect Psoriasis?” The National Psoriasis Foundation. Alexis C. Prince, MRes, RD Clio E. Myers, MRes, RDTriona Joyce, PhD, RD Peter Irving, MD Miranda Lomer, PhD, RDKevin Whelan, PhD, RD. (2016, May.) Fermentable Carbohydrate Restriction (Low FODMAP Diet) in Clinical Practice Improves Functional Gastrointestinal Symptoms in Patients with Inflammatory Bowel Disease. “Hashimoto’s Disease.” National Institute of Diabetes and Digestive and Kidney Diseases. Asik M, Gunes F, Binnetoglu E, Eroglu M, Bozkurt N, Sen H, Akbal E, Bakar C, Beyazit Y, Ukinc K. (2014, June.) Decrease in TSH levels after lactose restriction in Hashimoto‘s thyroiditis patients with lactose intolerance. Mazokopakis EE, Papadomanolaki MG, Tsekouras KC, Evangelopoulos AD, Kotsiris DA, Tzortzinis AA. (2015, Sept-Dec.) Is vitamin D related to pathogenesis and treatment of Hashimoto‘s thyroiditis? “Graves’ Disease.” National Institute of Diabetes and Digestive and Kidney Diseases. Wang L, Wang B, Chen SR, Hou X, Wang XF, Zhao SH, Song JQ, Wang YG. (2016, September.) Effect of Selenium Supplementation on Recurrent Hyperthyroidism Caused by Graves‘ Disease: A Prospective Pilot Study. Nichola J. Davis, MD, MS, Nora Tomuta, MD, Clyde Schechter, MD, Carmen R. Isasi, MD, PHD, C.J. Segal-Isaacson, EDD, RD, Daniel Stein, MD, Joel Zonszein, MD, Judith Wylie-Rosett, EDD, RD. (2009, July.) Comparative Study of the Effects of a 1-Year Dietary Intervention of a Low-Carbohydrate Diet Versus a Low-Fat Diet on Weight and Glycemic Control in Type 2 Diabetes. Richard D.FeinmanPh.D., Wendy K.PogozelskiPh.D., ArneAstrupM.D., Richard K.BernsteinM.D., Eugene J.FineM.S., M.D., Eric C.WestmanM.D., M.H.S., AnthonyAccursoM.D., LyndaFrassettoM.D., Barbara A.GowerPh.D., Samy I.McFarlaneM.D., Jörgen VestiNielsenM.D., ThureKrarupM.D., LauraSaslowPh.D., Karl S.RothM.D., Mary C.VernonM.D., Jeff S.VolekR.D., Ph.D., Gilbert B.WilshireM.D., AnnikaDahlqvistM.D., NicolaiWormPh.D. (2015, January). Dietary carbohydrate restriction as the first approach in diabetes management: Critical review and evidence base. “Pernicious Anemia.” National Heart, Lung and Blood Institute. Learn about your body to change the way you feel — the science behind nutrition sprinkled with a lifestyle that makes you feel your best.